Listen to Garrison Keillor read "Pear Trees on Irving Street" on The Writer's Almanac. 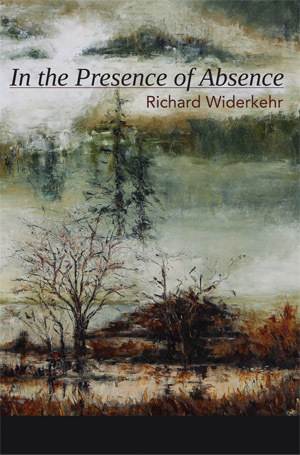 Richard Widerkehr earned his M.A. from Columbia University and won two Hopwood first prizes for poetry at the University of Michigan. He has two collections of poems: The Way Home (Plain View Press) and Her Story of Fire (Egress Studio Press) along with two chapbooks. Tarragon Books published his novel, Sedimental Journey, about a geologist in love with a fictional character. 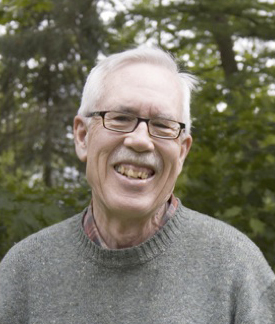 He won first prize for a short story at the Pacific Northwest Writers’ Conference, three awards in the Bridge’s poetry contests, and two Sue Boynton Contest awards. He’s held residencies at Centrum in Port Townsend, WA, and taught workshops there. Recent work has appeared in Rattle, Arts & Letters, Bellevue Literary Review, Floating Bridge Review, Gravel, Naugatuck River Review, Sweet Tree Review, West Trade Review, and Cirque. Other poems are forthcoming in Measure, Chiron Review, The Binnacle, Avatar, and Mud Season Review. He’s worked as a writing teacher in the Upward Bound Program at Western Washington University and, later, as a case manager with the mentally ill. He and his partner Linda live in Bellingham, WA. swollen berries in the other. one stem, pull it to me.